AeroScope is a comprehensive drone detection platform that rapidly identifies UAV communication links, gathering information such as flight status, paths, and other information in real-time. This monitoring data stream helps users make an informed response as soon as possible. 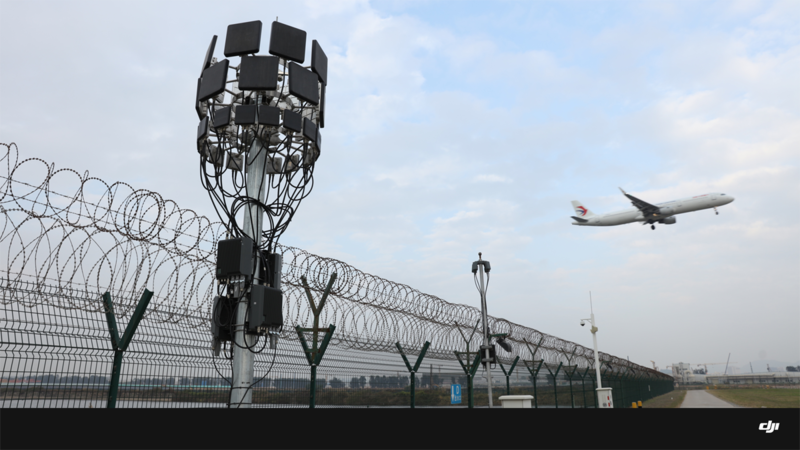 Designed for continuous protection of large-scale sites, the AeroScope stationary unit supports customization and construction according to the specific site and user demands to completely cover the surrounding airspace. Under ideal conditions, the system can monitor a range of up to 50 km and obtain key information from drones in as fast as 2 seconds. Monitoring data can be integrated with uses' existing security systems to efficiently provide an integrated monitoring system. This system also supports public cloud, private cloud, and local deployment, capable of meeting specific needs such as off-site monitoring and data segregation. 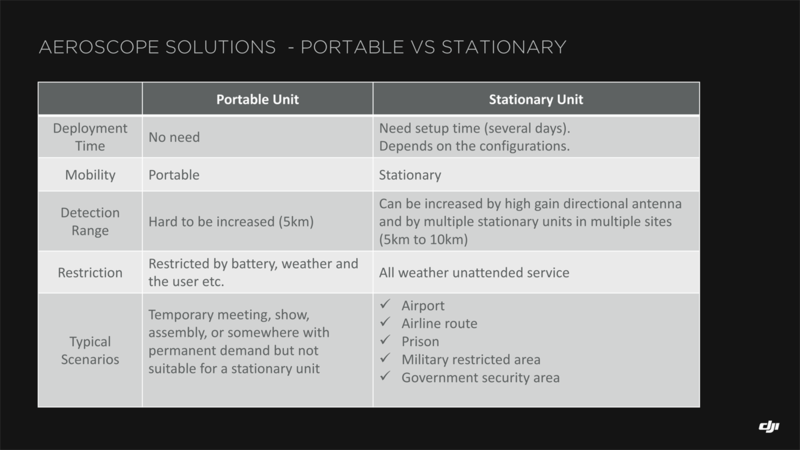 *Note: The monitoring range of the stationary unit is determined by the type of antennas installed. 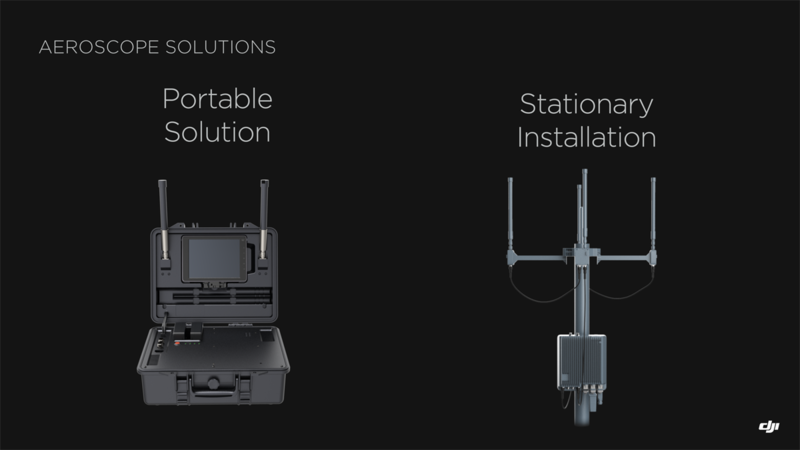 The AeroScope Backstage Management System is the core of a comprehensive drone security system. Using advanced information management technology, this system provides central monitoring, command, and investigation tools, integrating with data collected from previous flights.The AeroScope Backstage Management System is a comprehensive and convenient system for enterprises to monitor drones and help make the public airspace safer. It also supports a Software Development Kit (SDK) to meet customers’ specific demands and support the integration of different systems. 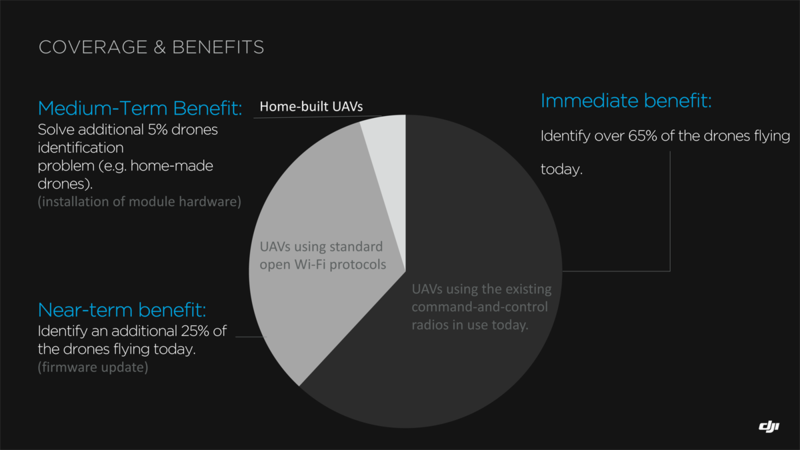 DJI's AeroScope uses the existing communications link between a drone and its remote controller to broadcast identification information such as a registration or serial number, as well as basic telemetry, including location, altitude, speed and direction. Police, security agencies, aviation authorities and other authorized parties can use an AeroScope receiver to monitor, analyze and act on that information. AeroScope has been installed at two international airports since April, and is continuing to test and evaluate its performance in other operational environments. This ia a great solution for Airports, Jails, Courthouses, Explosive Bunkers, Military bases and Sporting Events. DJI Aeroscope Test - How To Monitor Rogue Drones, a Hands On Test.